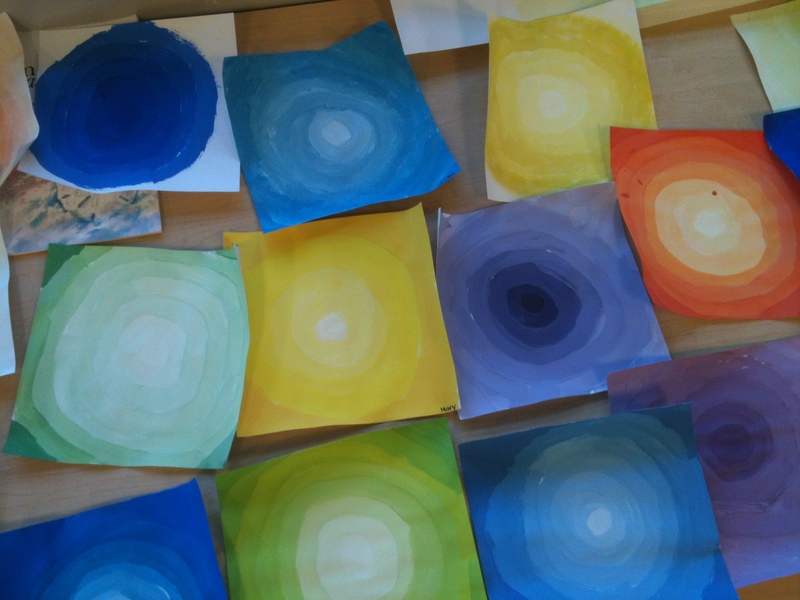 To jump start a painting unit, I had students explore hue and tints via concentric circle paintings. 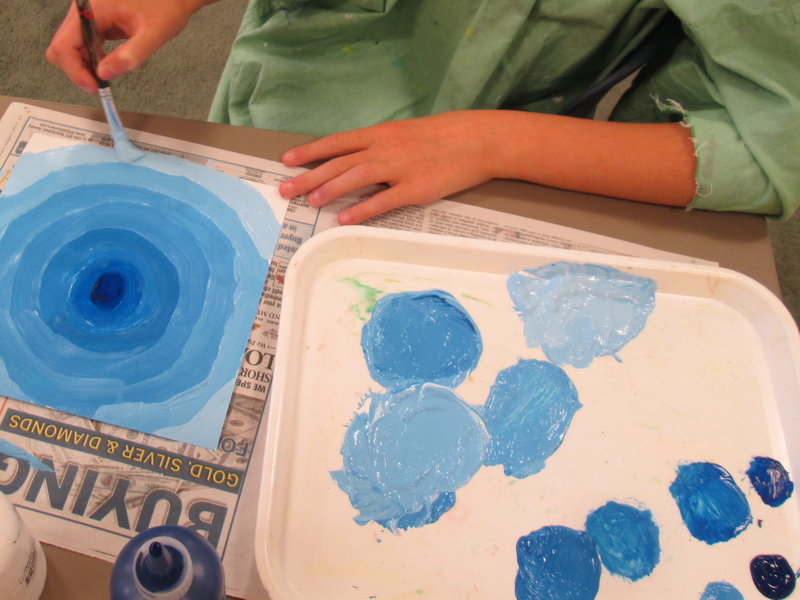 I wanted them to understand the difference between a hue and a tint, so we first mixed a hue using primary colors, then added the color to a pile of white a little at a time. 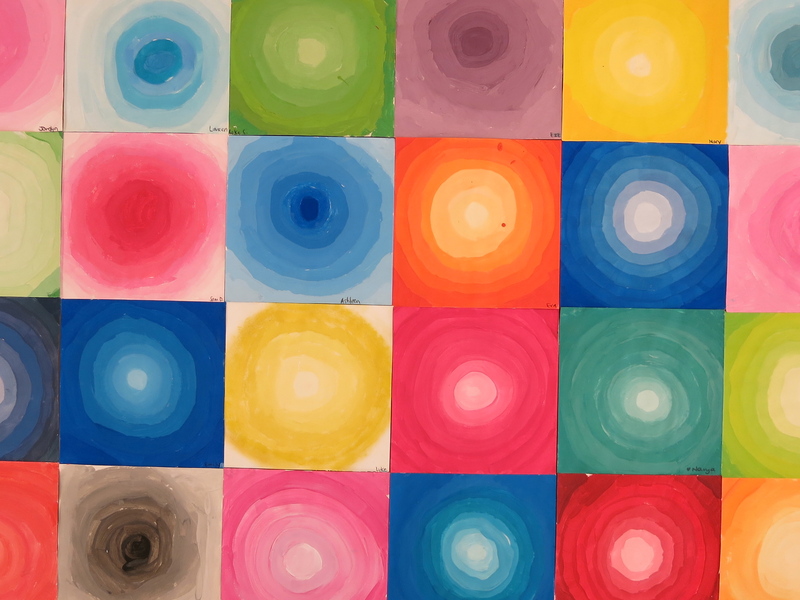 Each time, we painted a ring, and soon it grew and ended at the outer edge of the page with the original hue. I showed these works to a colleague and they immediately screamed “James Turrell”. He had to be subconsciously in my mind when I devised this activity as I did not create this lesson idea with his work in mind. It is amazing, this brain of ours. I am grateful for it!